A piping hot pie straight from the oven is hard to resist. More than any other food, pies represent home cooking at its finest. From the rich buttery crust to the deeply satisfying filling, pies are the perfect way to show love to family and friends. 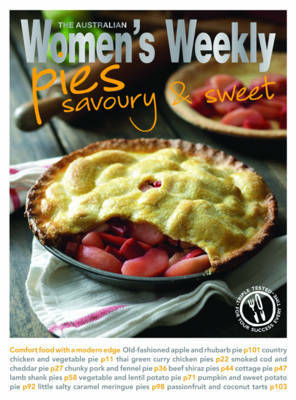 This book contains recipes for savoury and sweet pies such as creamy fish pie, a rich saucy steak pie and a crispy apple pie. There are also tips on making, using and buying pastry, making the process of baking at home as easy as pie.